"Combined with what he's been dropped, he's effectively 5lb lower than his old mark without running, and that gives us a mathematical advantage. Track and trip are obviously fine, as is the forecast ground, and he has plenty of ticks in the right boxes." He's a horse we've always held in pretty high regard, winning over this course and distance on his handicap debut as a three-year-old. 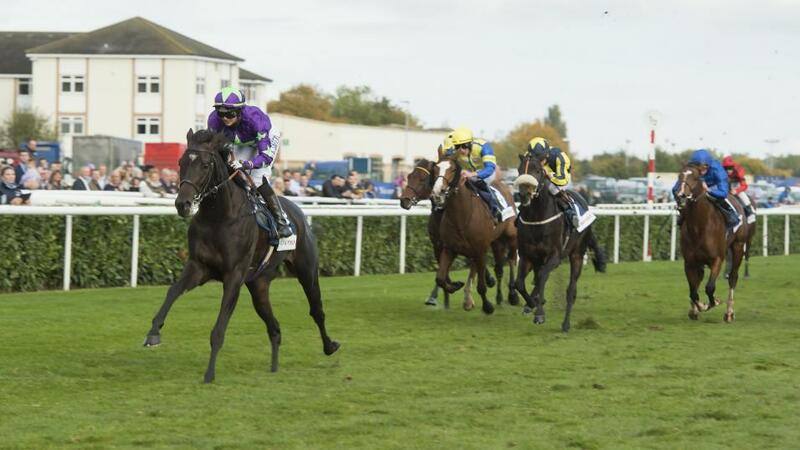 His work early last year was very exciting, and my horses weren't in great form when he put up a strong performance to be fourth in the Aston Park Stakes at Newbury last May behind a subsequent Group 1 winner, and he was meeting much more experienced horses that day. Unfortunately, it wasn't long afterwards that he picked up a small tendon injury, although as they say getting a bit of a leg is a bit like being a little bit pregnant, and although it wasn't a very serious injury, it required plenty of time off. He's responded very well for having the break, I've been very happy with his work since he's come back, and he looks tremendous. The rain forecast for tonight will help as he does want some cut in the ground, and I'm excited to get him back to the track. The owners have been tremendously patient with him and I hope that patience can be rewarded. He will improve for the run, and is likely to be pretty fresh, but he's in a place where he's ready to do himself justice, and he's well drawn to get the cover he wants. Hopefully he can get settled and travelling in the early stages and that will help Nicola Currie to ride the race she wants on him. There are a couple of things in our favour, with the handicapper dropping him a couple of pounds due to his absence, which is a standard practice now when horses have been off the track for a long time, and Nicola rode a double last night at Chelmsford and is now only one winner away from losing her claim. Only Jason Watson among the apprentices has ridden more winners this year and she is to all intents and purposes a fully-fledged rider. Combined with what he's been dropped, he's effectively 5lb lower than his old mark without running, and that gives us a mathematical advantage. Track and trip are obviously fine, as is the forecast ground, and he has plenty of ticks in the right boxes. I do think he will stay further, although should he win or go very close here, I'm not sure what there is in the programme book for him this winter. He was a bit disappointing on his only all-weather start, although that came on Tapeta and he works well on Polytrack at home, so he could be worth another try, and there is a listed race over a mile-and-a-half on turf at Toulouse next month which looks suitable, but we really need to take one race at a time, particularly this one.